•Determine the speed: First and foremost thing for the people to decide what speed they actually want. To determine this, you need to understand the meaning of bandwidth which is measured in Mbps (Megabits Per Second). With this Mbps rate, you can measure at what speed data can be downloaded or uploaded at your system. Here users need to understand that they always need more bandwidth to connection more devices to a web connection for better speed and to perform multiple tasks smoothly. Before picking any connection, just look at the different speed (Mbps) to perform different online tasks - 1 Mbps for general web surfing, email, social media, 1-3 Mbps for online gaming, 1-4 Mbps for video conferencing, 3-4 Mbps for live video streaming (standard quality), 5-8 Mbps for High-definition video streaming while50 Mbps and more to download heavy & large files on the regular basis. •Find out ISPs in your area: After determine your actual need of speed, it is important for you to explore all options in your area. Try to find out the best ISPs in your area and make a list of it. Contact some of the existing users in your area and take their feedback on your selected ISPs. It will help you to take a right call in picking the best service provider as per your need and requirements. 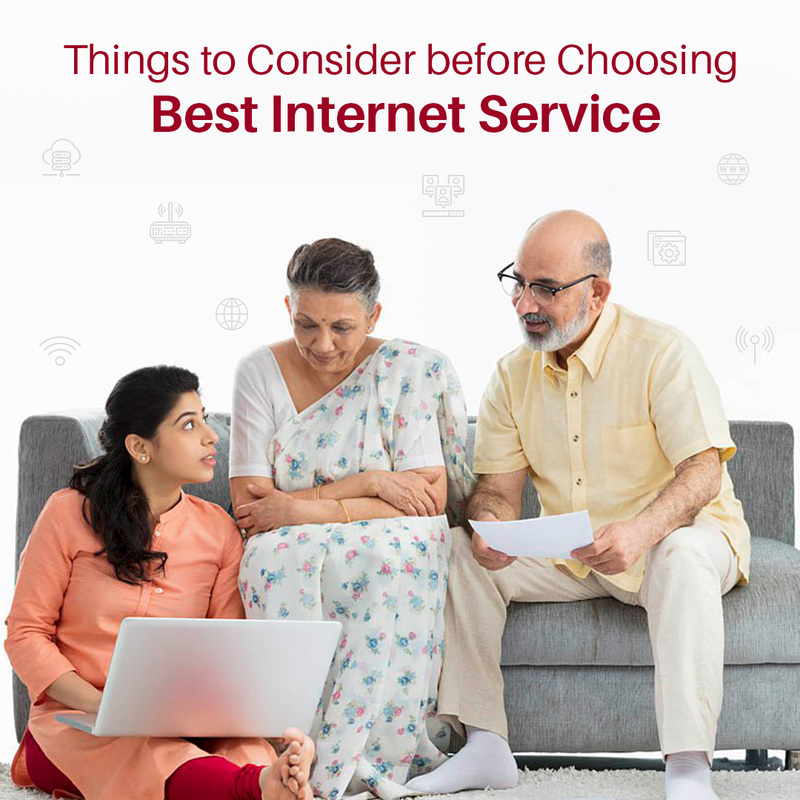 •Look at the Pros and Cons: After selecting the best service provider, it is essential for you to understand the pros and cons of your connection. It will actually help you to ask your service provider to improve its service in weaker areas for more reliability and faster speed. •Check the Connection Type: As the number web connections are available in the market, it is necessary for you to check which type of connection your ISP is offering. Some of the connection types are - Dial-Up, Digital Subscriber Line, Cable Connection, Wireless, Satellite, Mobile and Fiber Optics. Among all these connection, fiber optics connection is considered as the best web connection in term of faster speed and better connectivity. •Customer Service – Last but not the least, it is highly important for users to look at the customer service of their ISPs because if the customer service is good then you can enjoy smooth web access all the time. It is always good for you to keep above mention points in your mind before picking any connection. However, there are some of the best internet service providers in Delhi NCR who established a prominent place in the market due to their valuable services. Among these web service providers, TriplePlay Broadband is one of the best service providers. It is mainly known for its excellent customer support team, better bandwidth, attractive unlimited data plans and faster speed. So go for the best to enjoy web access like never before!